The country’s oil and gas sector employs 170,000 people and is the top moneymaker, producing 17 percent of Norway’s GDP. 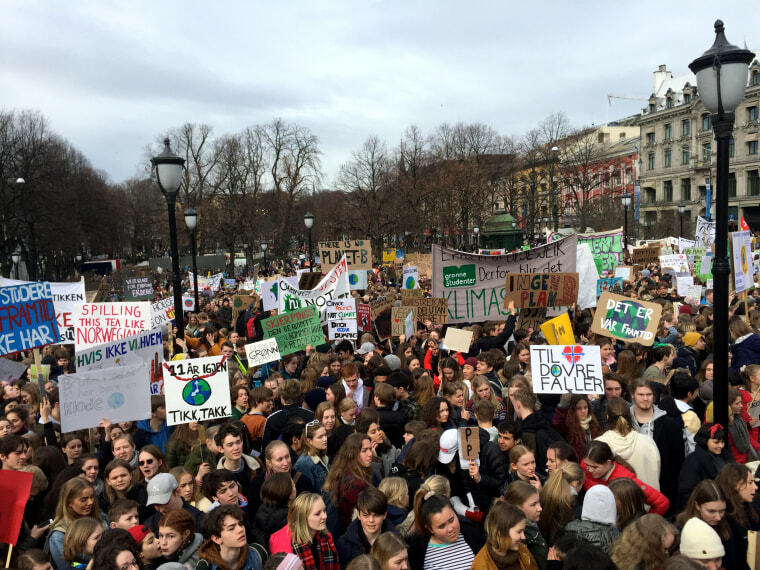 OSLO — Opposition to fossil fuels, particularly among young people, is driving change in Norway’s energy-dominant society — and economy. Unions highlighted the economic risks of winding down the oil and gas sector — it employs 170,000 people and is the country's top moneymaker, projected by the government to produce 17 percent of gross domestic product this year. Another sign of the hardening opposition towards fossil fuels, particularly young people, and its impact on the energy industry is a lack of qualified recruits to replace a rapidly aging oil and gas workforce. Yet the number of applications for petroleum geosciences and engineering program at the Norwegian University of Science and Technology in Trondheim, the country's leading program, fell to 33 in 2018 from 420 in 2013 — though the 2014-2016 downturn in crude prices could also have been a big driver. "Is this a response to the price of oil or is it because of environmental reasons, or political reasons? Young people today are looking for a secure job in and a job with a future — as it has always been," he added. But those calling for Norway — western Europe's largest oil producer and Europe's second-largest gas supplier after Russia — to wean itself off oil and gas say the future of jobs in the country is a big factor motivating their campaign.